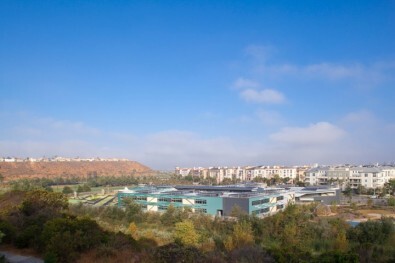 Situated along the bluffs below Loyola Marymount University and along a riparian corridor, Playa Vista Elementary School interprets district standards to identify the potential for new schools in Los Angeles. Designed by Osborn, the project uses a geothermal heat exchange with 32 miles of underground pipe and a photovoltaic array that supplies 60% of the school’s peak energy needs. Look out for references to an Italo Calvino poem amongst the methane vents.